Kylie Kwong’s iconic Sydney restaurant, Billy Kwong, is based on a simple three-word mantra: celebration, collaboration, community. 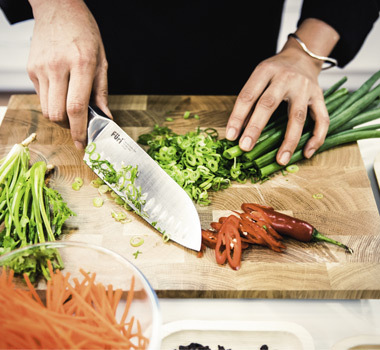 As one of Australia’s most renowned chefs, Kylie Kwong’s motivation goes beyond presenting mouth-watering meals. “What is important in my daily practice as a chef and restaurateur is to be able to do and offer something meaningful and positive,” she explains. To help her achieve this, Kylie adopted three simple yet deeply consequential words to drive her deeds; celebration, collaboration, community. Celebrate has multiple meanings and Kylie embraces them all. At Billy Kwong, she celebrates her community collaborators and producers by shining a light on their individual stories. For instance, Kylie honours her friend and fisherman Mark Eather’s commitment to sustainable fishing methods, as well as Mike and Gayle Quarmby of Outback Pride, who promote the native food industry. These include traditional Chinese recipes like her uncle Jimmy’s freshly made biodynamic Hokkien noodles which he leaves uncut, as, Kylie explains, “the longer the noodles, apparently, the longer your life.” But Kylie also uses this occasion to celebrate being Australian-Chinese, offering dishes such as stir-fried native blue swimmer crab with black bean and her house chilli sauce. When it comes to collaborators, quality is at the heart of Kylie’s choices. 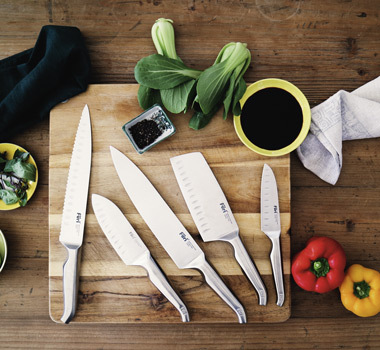 One long-term collaborator is Füri knives, a staple in her kitchen for over 15 years. Then there’s Mike and Gayle, whose collaboration has helped Kylie to discover how to integrate Outback Pride native produce into her Cantonese-style fare. You can also find Kylie on Saturdays at Sydney’s Carriageworks Farmers Market delighting the community with her offerings, including steamed pork buns marinated in Wayside Chapel honey. Try Kylie's delicious stir-fried beef with black bean and chilli sauce recipe.